The SHORTLIST for the prestigious 2018 RIBA Stirling Prize for the UK’s best new building has been announced today (19 July 2018). 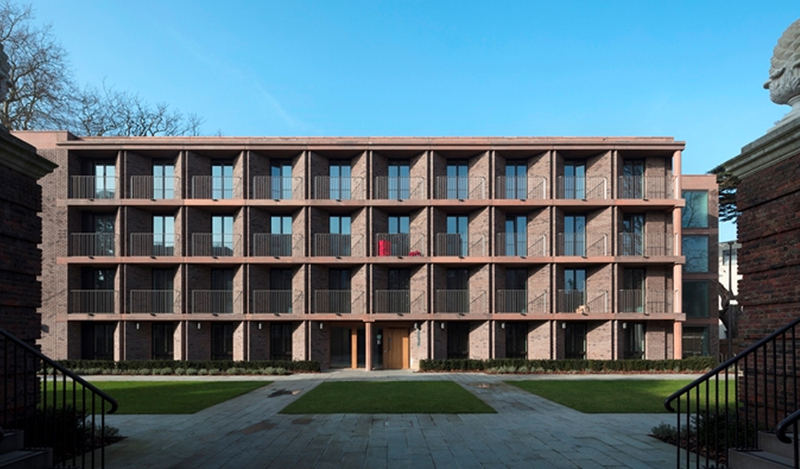 The shortlist of six exceptional buildings comprises student housing, an office building, cemetery, art gallery, lecture theatre and a nursery school. The winner of the RIBA Stirling Prize, architecture’s highest accolade, will be selected from the shortlisted projects and announced on Wednesday 10 October 2018. 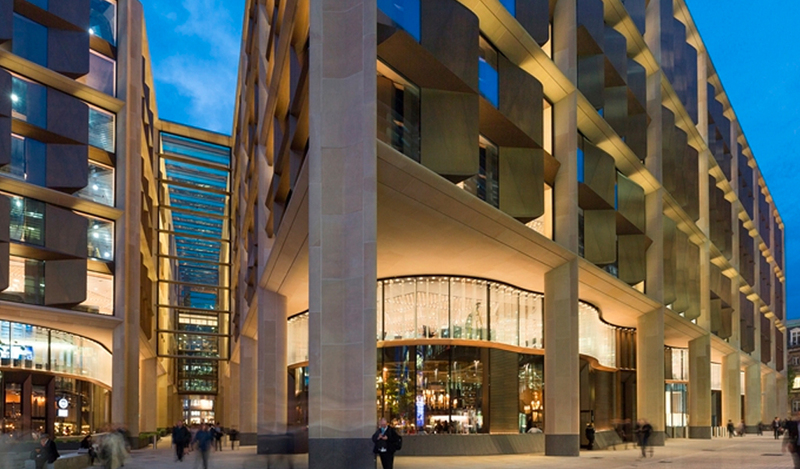 A highly-innovative new workplace in the City of London, commissioned by an ambitious civic-minded client, which pushes architecture’s boundaries and seeks to enhance the neighbouring public realm. 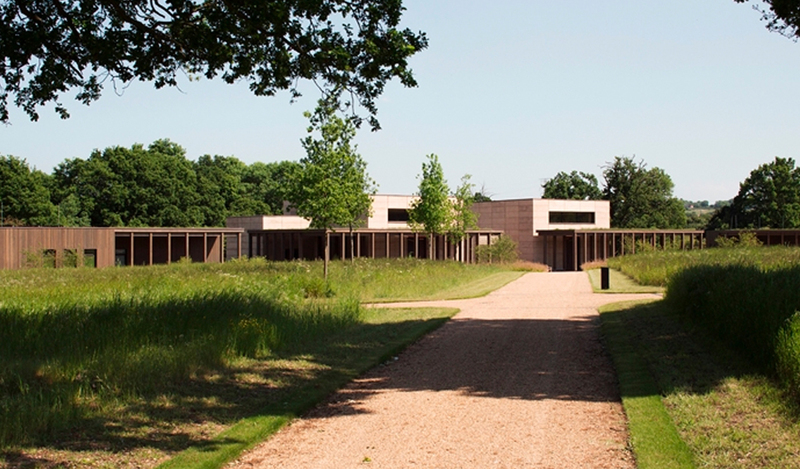 An extraordinary spiritual building formed of natural rammed earth walls, oak and rusted steel, with the beliefs and customs of the Jewish faith at its heart. Three new, intelligent buildings which surround the Grade II-listed Georgian Downshire House and provide high-quality student housing for Roehampton University, built on a modest budget. 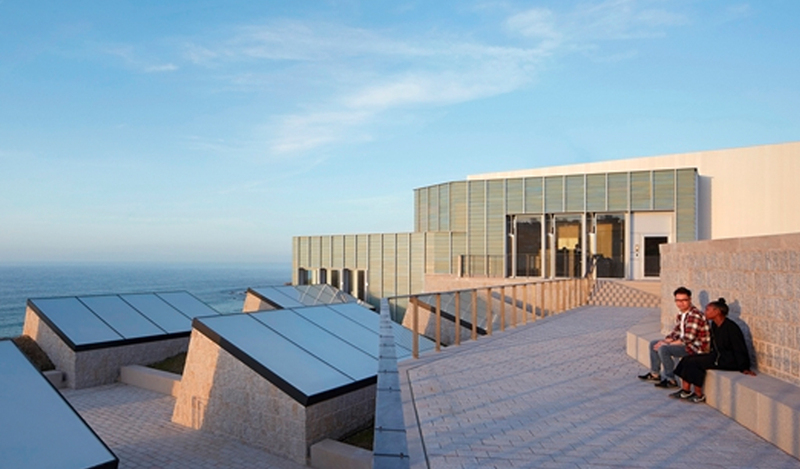 An ingenious reconfiguration and extension of the Postmodern art gallery which doubles the exhibition space, creates a new public walkway connecting the town to the beach and helps St.Ives attract a growing number of international visitors. 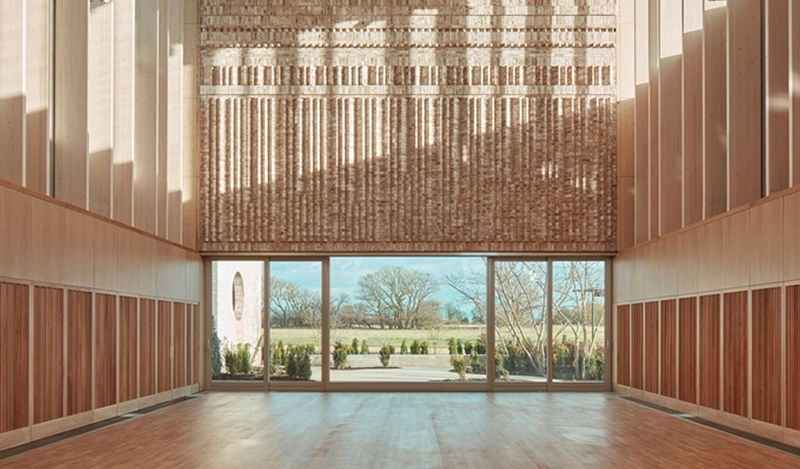 A breath-taking building, commissioned by the University, for the new community of North-West Cambridge. Inspired by the college cloisters and courts of the City, this project has a sustainability agenda at its core. 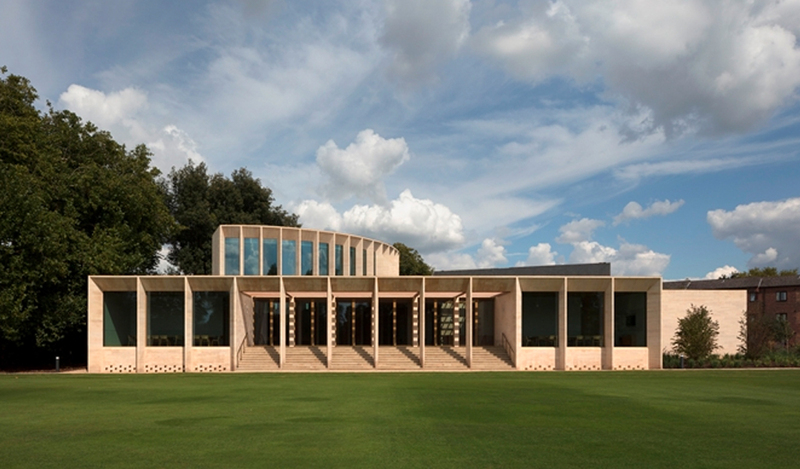 A floating auditorium crafted from classic Oxford stone and natural oak to blend exquisitely into the established landscape of Worcester College. “Each of the projects on this year’s shortlist shows the power and payback of investing in quality architecture, illustrating perfectly how well-designed buildings are worth every penny and can exceed the expectations of the community they serve. “It doesn’t go unnoticed that half of the buildings were commissioned by UK universities, suggesting that parts of the higher education sector value the importance of improving the quality of their buildings and estates to reward and attract students, staff and visitors, and to make a positive contribution to their local area. It’s encouraging to see clients who recognise the broad range of benefits that can be achieved by working with skilled and resourceful architects, and I hope more public-sector organisations will follow their lead. 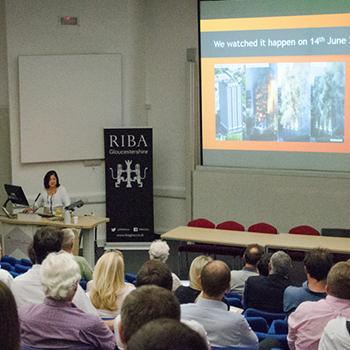 “This shortlist illustrates why UK architects and architecture are held in such high regard around the world. 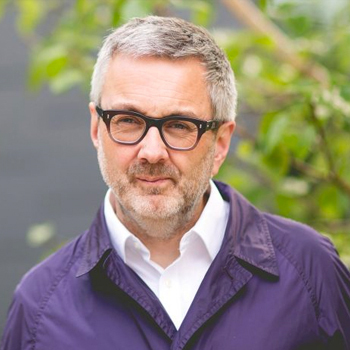 In these challenging and turbulent political times, we must celebrate how the UK’s architectural talent can help to improve local communities and their quality of life. The shortlist features projects by previous RIBA Stirling Prize winners Foster + Partners (Imperial War Museum Duxford, RIBA Stirling Prize winner in 1998; 30 St Mary Axe, 2004) who have also been shortlisted seven times; MUMA were shortlisted for Whitworth Museum in 2015 and Niall McLaughlin Architects were shortlisted for Bishop Edward King Chapel in 2013 and Derbyshire Place in 2015. 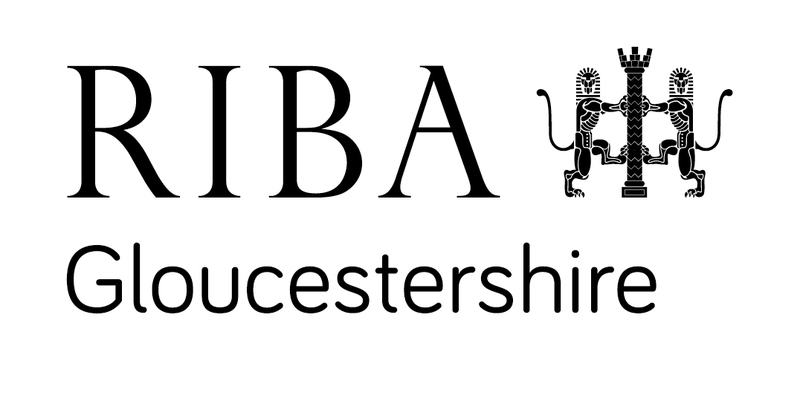 This is the first year that Waugh Thistleton, Henley Halebrown and Jamie Fobert Architects with Evans and Shalev have been shortlisted for the RIBA Stirling Prize. The winner of the RIBA Stirling Prize will be announced on Wednesday 10 October 2018 at the Roundhouse in Camden, London. Click here to find out more.